Unique , in the very exclusive Location of Vista Palace Hotel,Luxury Contemporary Villa under Construction. Breathtaking Sea and Monte Carlo Views .South and west exposures . 190 sqm living surface . 4 bedrooms with 3 ensuite bathrooms . Possibility to enlarge the Underground Surface . 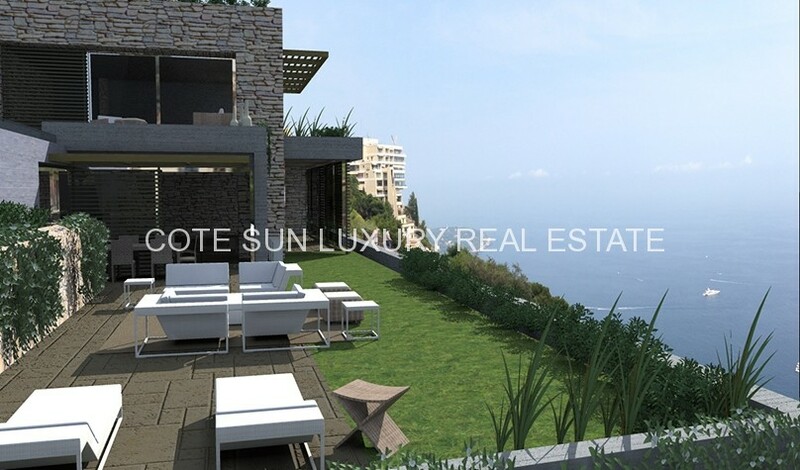 1360 sqm garden planted with Mediterranean Species .Huge Terraces everywhere with Stunning Sea and Monte Carlo Views . Works done by a Monegasc Company specialized in Top Luxury Construction with 10 Years Warranty .